Registration is officially open for the 2014 Chapter One Young Writers Conference! Check out our schedule, list of speakers, and don’t forget to register! We’d love to have you. 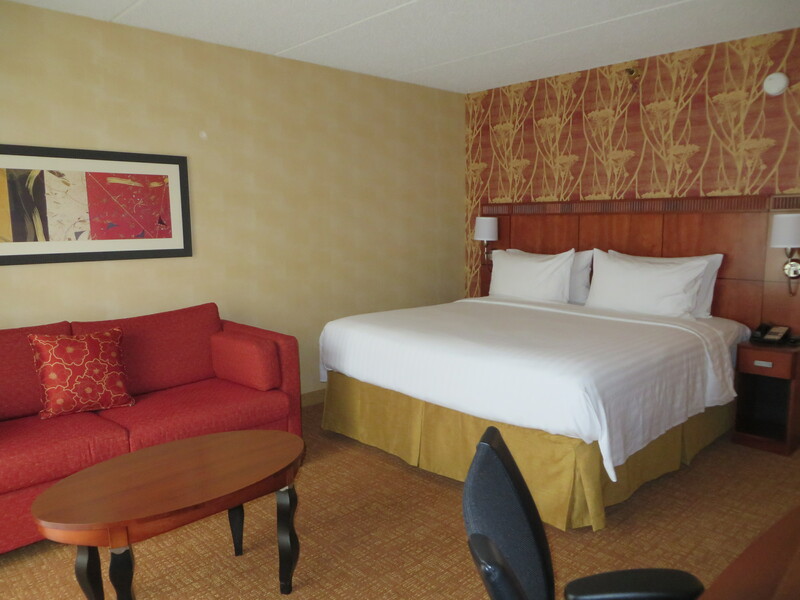 The Ch1Con Hotel is Looking Snazzy! During a recent trip to Chicago, we stopped by the hotel we held Ch1Con at last year (and hopefully will be holding it at again in 2014). 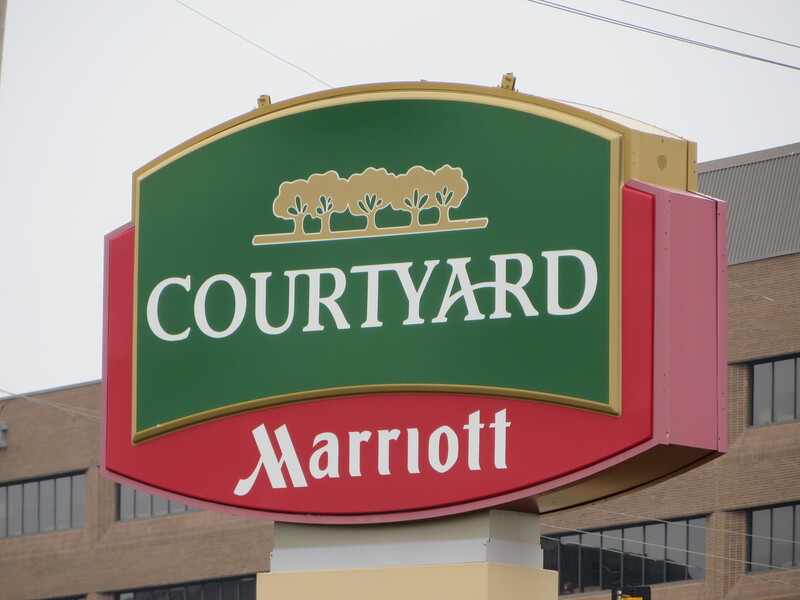 It’s a Courtyard Inn, and they redid a lot of the interior and courtyard since the 2012 conference. The place is looking beautiful–check it out! Look how spiffy this sign looks! The new lobby layout involves a ton of seating, a fireplace, a reading nook, a cafe, and more! 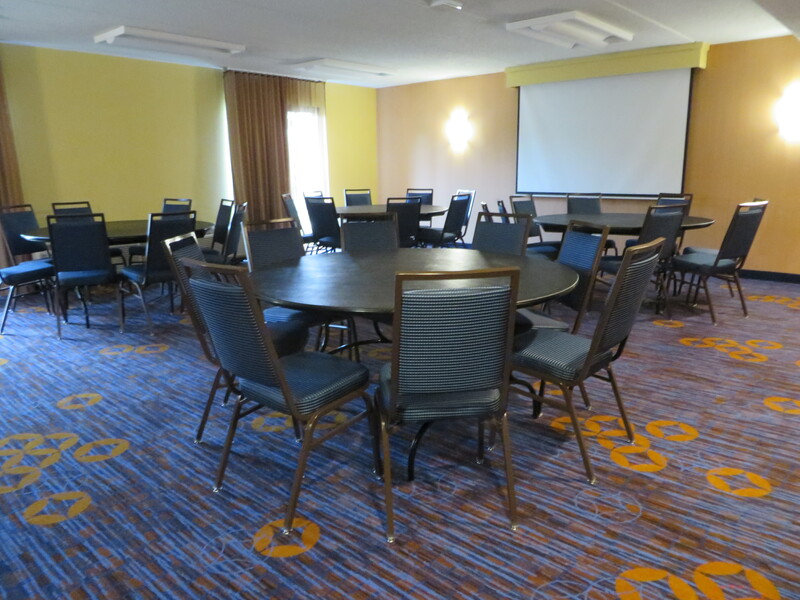 One of the hotel’s gorgeous conference rooms! I think you can tell by all the exclamation points there how excited we all are. 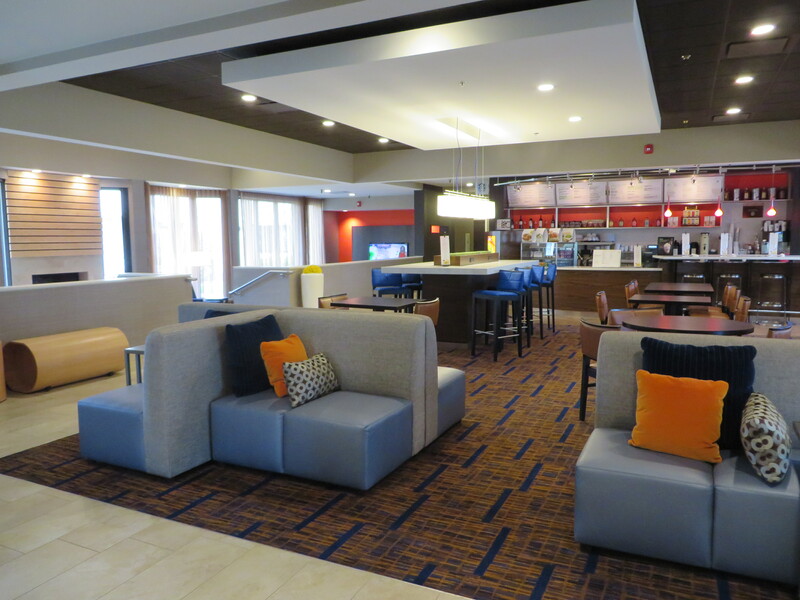 And check out the theme colors in the lobby and conference room–blue and orange, just like Ch1Con!